Joseph's House of Camden is a non-profit dedicated to caring for the homeless. This caring manifested itself through the successful running of an all-night café. 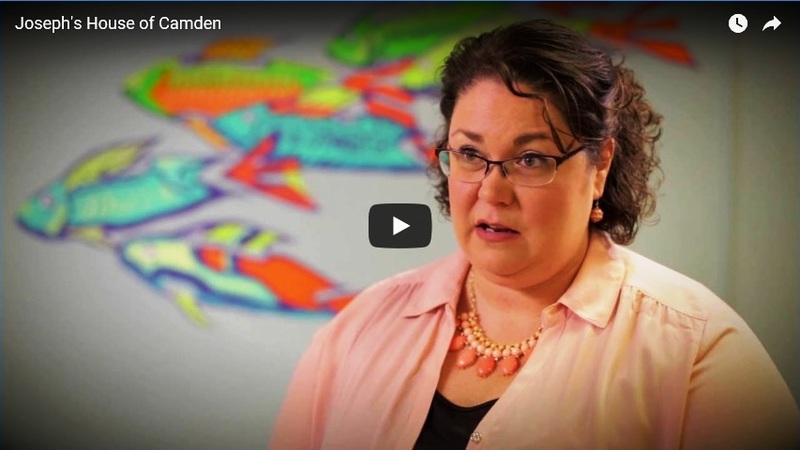 Throughout Camden, but especially in the downtown area, increasing numbers of women and men are sleeping on the streets, under highway overpasses, and in abandoned buildings. Our café has brought and continues to bring immediate relief to this growing population of fragile homeless. The café has two goals: first, to provide a safe, warm, and hospitable drop-in center for the homeless; second, to connect the homeless with area social service providers who can offer more permanent solutions to homelessness including, but not limited to: veterans services, connection to benefits, counseling services, job and housing referrals, and prenatal care. The Café operates overnight between 8pm-8am. 1. Everyone can change their situation in life. We believe in people when they don't believe in themselves. We continue to believe until they also believe. 2. Listening, without judgment, is key. We accept individuals where they are and how they interpret their experiences in the world. It is not our job to advise people on how to live their lives. 3. Every guest has dignity and deserves respect. No matter how someone presents to us, they are treated like an invited guest to our "home". 4. We create a safe and beautiful space. Staff set the tone for the experience of each guest. Despite the way the rest of the world receives and reacts to our guests, they can feel safe and at ease in our space. 5. We are masters of accommodation. We are flexible when we can be, working to meet individual needs when it does not interfere with others' safety. There are only five rules and everything else is negotiable. Joseph's House was founded in 2010 to offer winter shelter to the growing number of people in Camden who were homeless. In the first winter, 2010-2011, Joseph's House operated for three months, seven nights a week and provided shelter and food to 30-35 people a night. In the second winter, 2011-2012, Joseph's House operated for five months. In the third, 2012-2013, Joseph's House operated for 6 months. During each of these two seasons, Joseph's House began making targeted referrals for its overnight guests to connect them with community social service providers. The scope of services expanded from shelter and food to include services that could offer pathways out of homelessness. Joseph's House purchased and renovated the property at 555 Atlantic Avenue in 2013 and began year round, seven nights a week services. Joseph's House committed itself to meet the immediate, essential needs of its guests as well as their long term needs for pathways out of chronic homelessness. Capacity increased to 80 guests per night and the number and type of social services was increased to include addiction services, mental health and physical health, as well as on-site access to the Camden County Board of Social Services. As a full calendar year operation in 2014, 1,274 individuals were served. In 2015, 1,962 individuals were served. Joseph's House remains committed to meeting both the immediate and long term needs of guests who seek services at our doors. You can view a special presentation about Joseph's House, created for our October 2011 reception, by clicking here.